The past few years have seen a surge of tech features in new vehicles — everything from cloud-based content to semi-autonomous driving. While some of it makes the driving experience better, not all tech is useful or well thought out. Automakers who are adept at drivetrains, ride quality and in-cabin comforts often fail at infotainment interfaces and connectivity. From testing dozens of vehicles each year and in the spirit of gratitude, here are three car tech features I’m thankful — and a trio I could live without. Connected search: This seems like a no-brainer since everyone already has it on their smartphones, but not all automakers include it in the dashboard and as part of their nav systems. The best ones, such as ToyotaEntune, leverage a driver’s connected device to search for a range of services and don’t charge a subscription or require a separate data plan for the car. I also like how systems like Chrysler Uconnect use Yelp or other apps to find everything from coffee to gas stations and allow searching via voice recognition. Apple CarPlay and Android Auto: It took two of the largest tech companies to get in-dash infotainment right. While they have their disadvantages (you’re forced to use Apple Maps with CarPlay, for example), the two smartphone-integration platforms make it easier and safer to use their respective native apps for phoning, messaging, music and more behind the wheel by transferring a familiar UI to the dashboard — with no subscription required. Heated seats and steering wheels: I really appreciate these simple but pleasant features come wintertime. It’s easy to get spoiled by bun-warmers on frosty mornings and using a heated steering wheel to warm the cold hands. I recently tested a 2018 Mercedes-Benz E400 Coupe that also had heated armrest that added to a cozy luxury experience. Bonus points for brands like Buick that allow setting seat heaters to turn on when the engine is remotely started. 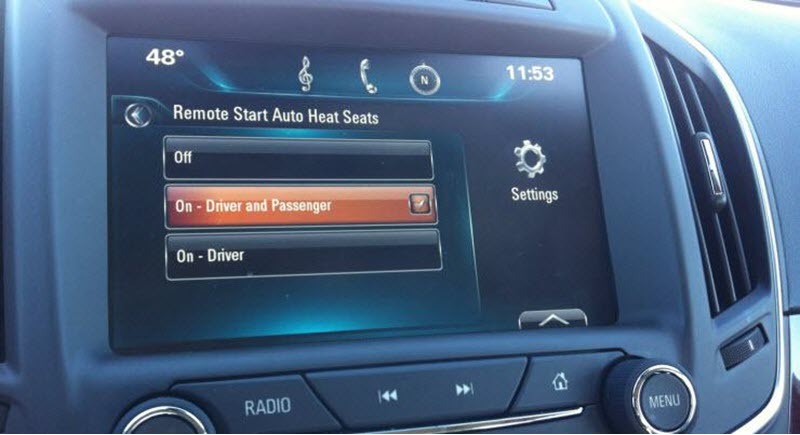 Automaker infotainment systems: Automakers have probably poured millions into creating their own infotainment systems, with the result largely being frustration on the part of most car owners. And Apple CarPlay and Android Auto coming along to make them obsolete. While some automaker systems, such as Toyota Entune and FCA’s Uconnect, are easy and intuitive to use, it seems that high-end systems (I’m looking at you BMW iDrive and Mercedes-Benz COMAND) are the most difficult. Subscription-based connected features: Not only do luxury cars tend to have the most complex and aggravating infotainment systems, but connectivity costs extra. It’s similar to the way that budget motel chains give guests free Wi-Fi while the high-end hotels charge for Internet access. Audi, BMW and Mercedes-Benz all have proprietary connectivity platforms that require a subscription once a free trial period ends, as opposed to systems like Ford Sync and Toyota Entune that leverage a driver’s smartphone — and its data — to provide cloud-based content. But even some Nissan Connect features require a subscription. Intrusive driver assists: I’m a big fan of driver assists like lane departure warning, but some systems can be like a helicopter parent, constantly issuing false warnings or being heavy handed. The best systems give you gentle reminders, and some even let you set the level of sensitivity. But others are overly cautious to the point of annoyance and are so aggressive in their intervention it feels like you’re fighting against them to steer the vehicle. Granted, these are mostly champagne problems, but with tech taking over in cars we’ll see more issues like this bubbling up. These are just a few examples from my own experience of testing over 50 vehicles a year. Which tech features are you thankful for and which ones do you curse?